Those in the know are saying that Caroline Kennedy won't get appointed to the empty New York Senate seat because she hasn't donated that much to New York politicians. On the other hand, Illinois governor Blagojevich is fighting to keep his job and stay out of prison after being accused of trying to sell Obama's former Senate seat. I guess the lesson here is that if you want to buy a Senate seat, you need to start spreading the money around far in advance of the seat being open, and you can't just give money to the governor who will be appointing you, you need to spread the money around to other state officials in the governor's party. I guess it's illegal to directly buy a Senate seat, it has to be done indirectly and there can't be a quid pro quo. One of the main problems with medicine today is that the rules are made by corrupt lawyers and politicians, and not by doctors themselves. Why is it considered improper influence if a pharm rep gives a doctor a pen (this practice will stop Jan 1, 2009), but it's perfectly fine for a lobbyist to give $1000 to a politician's re-election campaign? Although I mainly practice sleep medicine, I have been treating patients with opioid dependence at Somnus Sleep Clinic for the last year. I prescribe suboxone. Several of my male patients have complained of decreased libido and erectile dysfunction. After checking a testosterone level and finding it to be low in several of these patients, I referred them to an endocrinologist for testosterone therapy. Opioids can cause hypogonadism, probably by interfering with the hypothalamic-pituitary-luteinizing hormone (LH) axis. Unfortunately, for most of these patients I checked testosterone levels after they had been taking suboxone for several months, so it wasn't clear if suboxone was causing the effect or if it was due to prior opioid abuse. When I see male patients for their initial visit prior to initiating suboxone therapy, I think I am going to start ordering baseline testosterone levels if there are symptoms of hypogonadism present. President-elect Obama, who allegedly is not a natural born citizen and would therefore be ineligible to be President, has nominated Hillary Clinton to be Secretary of State. Hillary Clinton is ineligible to be Secretary of State due to the Constitution's emoluments clause. 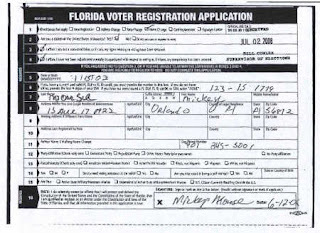 The liberal group ACORN, which has been engaging in massive voter fraud across the country, tried to register Mickey Mouse to vote in Florida. Israel's main stock index dived 7.68 percent on Sunday when the Tel Aviv Stock Exchange opened after a four-day holiday weekend and a 45-minute delay enforced after a sharp drop in preliminary trading. I think the broad market indices are going to decline approximately 15% more before hitting bottom. I believe this will happen near the end of October. Once the Dow drops below 7500, I would recommend gradually moving your money into a stock market index fund or ETF. Given the recent strength of the US dollar and its likely future decline, moving some of your money into international fund is also reasonable (once the Dow drops below 7500). Scare Americans into putting up $750 billion of their hard earned money to bail out the billionaires and their friends who created the market for loans to poor credit risks (The "subprime" market) and the unbelievably large side bets on those loans, promising that such a bailout would save the retirement savings of Americans, then allow the immense hedge funds to make the market crater immediately afterwards. A quick google search reveals that Dr. Sevush is a geriatric psychiatrist, that he's done some work on Alzheimer's, and that he is written on consciousness. I am not sure if this essay is by him, but it came up when I googled "Steven Sevush MD and quantum". Now quantum mechanics has some interesting philosophical implications, though it takes several years of advanced college mathematics (which I lack) to have even a basic understanding of quantum mechanics. Quantum mechanics has some interesting implications for the concept of consciousness. There has been some research looking at the speed of neural transmission, and whether an action can begin before the person makes the decision to carry out the action (I am probably butchering the concept, see Roger Penrose for more details). I maintain my assertion that quantum mechanics has nothing to do with psychiatric treatment. I have no problem if a psychiatrist is interested in quantum mechanics and its philosophical implications. However, if a psychiatrist starts talking about "energy fields" to his patients, that psychiatrist is a quack. At the last Psychiatric Congress (an annual CME seminar), I suffered through an hour session on psychotherapy in which a psychiatrist who thought he knew much more than he actually did about quantum mechanics erroneously said that quantum mechanics is about energy fields and that we are all connected by energy fields (quantum field theory has nothing to do with us all being connected). I had to restrain myself from telling him that he was a fool. The only "energy" or "energy field" relevant to psychiatric treatment is the energy generated by an electroconvulsive therapy machine. 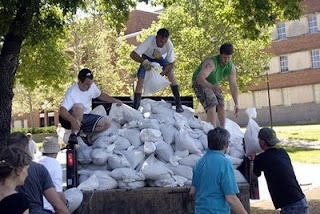 DEAR ABBY: I just finished reading your June 9 column and am shocked at what I read. Your response regarding autism was way off base. You said, "Autism is a mental health disorder ... some people consider ... to be shameful." DEAR MELISSA: My thanks to you -- and the many other readers -- who wrote to correct me..... autism is often considered a mental health disorder because it affects behavior, cognitive ability and social skills. However, it is genetically predetermined -- biologically based. Experts clearly agree that autism is a neurologically based condition. The current criteria used to diagnose autism are contained in the Diagnostic and Statistical Manual of Mental Disorders, a publication of the American Psychiatric Association. However, this does not mean that autism is a "mental illness." Autism is most accurately described as a "neurodevelopmental disorder." Most psychiatric conditions have at least some biological basis. Schizophrenia can also be considered a "neurodevelopmental disorder," though it has a later onset than autism. There is no clear dividing line between what is considered a neurological brain disease and what is considered a mental illness. (CNN) -- Radovan Karadzic, whose Interpol charges listed "flamboyant behavior" as a distinguishing characteristic, was a practicing psychiatrist who came to be nicknamed the "Butcher of Bosnia." Twice indicted in 1995 by the U.N. International Criminal Tribunal for the former Yugoslavia, Karadzic faces charges of genocide, complicity in genocide, extermination, murder, willful killing, persecutions, deportation, inhumane acts, terror against civilians and hostage-taking. While president of the so-called Serbian Republic of Bosnia-Herzegovina, Karadzic's troops were reported to have massacred over hundreds of thousands of Muslims and Croats during a campaign of "ethnic cleansing." Early estimates of the death toll from the 3-year war ranged up to 300,000, but recent research reduced that to about 100,000. Karadzic was born on June 19, 1945, in Petnjica, Montenegro. He studied psychiatry and medicine at the University of Sarajevo during the 1960s and took courses in psychiatry and poetry at Columbia University from 1974 to 1975. Those living in Jackson MS no longer have to drive to the coastal region to play No Limit Texas Hold'em. Vicksburg (45 minutes from Jackson) now has 2 poker rooms. The room at the Horizon casino, though, is of low quality and sometimes only has Limit games. I recommend the Ameristar casino- not as good as the Imperial Palace in Biloxi, but Ameristar does usually have several No Limit tables going. Complexity theory, quantum mechanics, and quantum field theory are conceptual frameworks that have been largely overlooked by Western medicine as potentially useful explanatory models of illness and healing. These nonclassical paradigms may eventually lead to models or research methods that will clarify the nature of putative informational or energetic phenomena related to health, illness, and healing. Phenomena regarded as legitimate subjects of inquiry in nonorthodox paradigms that have been largely overlooked by Western biomedical research include the role of intention in healing and the putative beneficial effects of “subtle energy” on health. Quantum brain dynamics is a nonclassical model that uses quantum field theory to explain subtle dynamic characteristics of brain functioning, including postulated influences of nonclassical forms of energy and information on the brain. It has been suggested that healing intention operates through nonlocal energetic interactions between the consciousness of the medical practitioner and the physical body or consciousness of the patient. Conventionally trained physicians generally regard reports of beneficial outcomes following “energy” treatments as examples of the placebo effect because contemporary Western science is not able to substantiate the role of postulated forms of nonclassical energy when these modalities are employed. If you hear a psychiatrist using the word "quantum" or if you hear him talking about "energy fields", that psychiatrist is a quack and you should run out of his office as fast as possible. Quantum mechanics has nothing to do with psychiatric treatment. A decade of weak economic growth and the unraveling of Japan's system of lifetime employment have left many middle-age and elderly men unemployed and in financial ruin. Among Japanese suicides, nearly 71% are men, more than 73% are 40 or older, and more than 57% are jobless. For an unemployed, former "salaryman," suicide can be "a rational decision," Yamada says. When a man commits suicide in Japan, his beneficiaries can still collect his life insurance. And insurers pay off Japanese home mortgages when a family's breadwinner dies — even if the death is a suicide. "If he dies, the rest of the family gets money," Yamada says. "If he continues to live without a job, they will lose the house." Should Pre-meds have to take Organic Chemistry?? I am all for weeding out people, but I think that the 2nd semester of O chem is a waste of time. Instead of a 2nd sem of O chem, I would require a semester of med-school level Biochemistry (and use this as a weed out course, in addition to the 1 semester of Ochem). I disagree with the previous comment of getting rid of physics. A basic knowledge of physics is helpful for many areas of medicine - neurophysiology (EEG/sleep studies), radiation oncology, nuclear radiology, and ophthalmology. Psychiatry is nothing more than a well-funded front for big pharma, according to lawmakers investigating the field's premier organization, the American Psychiatric Association. Unlike psychologists, psychiatrists can write prescriptions, giving pharmaceutical companies a powerful incentive to lavishly subsidize both their lifestyle and profession. A psychiatrist's office is a "safe space," where it's ok to ask any question, including: "have you received any compensation from any drug company?" My practice is mainly sleep medicine- largely osa and cpap. Unless you count hypnotics like Ambien and Lunesta (I typically start off with generic Ambien before trying Lunesta or Ambien CR), I prescribe less psychotropics than the typical internist and much less than the typical psychiatrist. I resigned my membership in the APA over a year ago. I am not in the pay of the pharmaceutical companies. "I really adored my nanny (who coincidentally had the same first name as my mother), and that was a good thing since she was the adult I spent the most time with." Every day when I leave in the morning, she reaches out for me and cries. And I think to myself, "What kind of mother am I to leave her like this?" But when I go to work, I’m earning the money that pays the rent and building a career that hopefully someday she’ll be proud of. Although fewer Americans become primary care physicians, primary care providers increased per capita thanks to international medical graduates and the growth in physician assistants and nurse practitioners. And the overall growth in primary care provided more efficient and less expensive health care, according to testimony given to Congress last week. The Government Accountability Office (GAO), Congress' research arm, provided testimony to the Senate Health, Education, Labor and Pensions Committee. In the past decade, the per capita number of primary care doctors, including internists, pediatricians, family practitioners and general practitioners, rose an average of 1.17% annually. The per capita number of primary care physicians grew faster than that of specialty physicians, 12% vs. 5%, respectively. The Associated Press reported from the GAO's testimony that fewer American medical graduates choose primary care, but international medical graduates (IMGs) covered the gap. GAO figures show that in 2006 there were 22,146 American doctors in residency programs in the U.S. specializing in primary care, down from 23,801 the previous year. IMGs made up 1 in 4 new U.S. physicians, according to the AP.